If I guide with my boat you fish on my license. For land or ice based guiding you need your own license which I can set up for 50 SEK/Pers and day. Payment is 30% when booking and 70% on the docks before our day begins. Life jackets must be on at all times if you dont use a survival suit. A maximum of two adults or one adult and two children. No alcohol or drugs in the boat. You need to have your own health insurance – important! If you accidentally break something, you pay the insurance access. If the booking is canceled at least 24 hours before fishing due to bad weather or illness, we will pay back the prepayed amount. Bring clean boots, appropriate clothing and a good mood! A transom-mount trolling motor costs 100 SEK extra. Rent for a weekend (two days) for 1000 SEK (+200 SEK for the trolling motor). 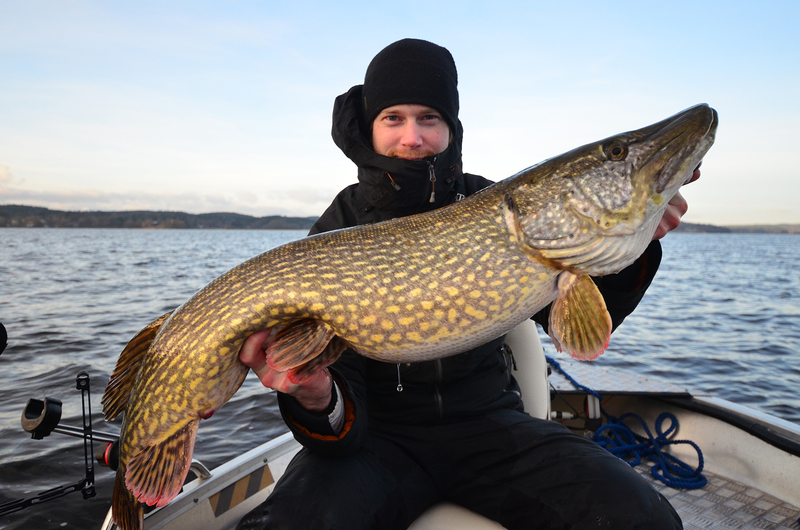 Rent for a week (seven days) för 2500 SEK (+500 SEK for the trolling motor). You pay 30% of the cost when booking and 70% + a deposit of 500 SEK when you get the key. I can set up fishing licenses for 50 SEK/Pers and day. If we cancel the booking due to malfunctioning equipment, we will pay back the prepayed amount. A maximum of three adults or two adult and two children. If you accidentally brake something, you pay the insurance access. The boat should be cleaned after use. The company has insurance that covers accidents and if equipment breaks during guiding. Rental boats are insured. The customer will pay insurance access for any broken equipment or for any self-inflicted accidents. I strongly recommend your own health and accident insurance!